The Nagorno-Karabakh issue will be raised at the autumn session of the Parliamentary Assembly of the Council of Europe (PACE), Chairman of the Azerbaijani Parliamentary Committee for International and Inter-Parliamentary Relations, Head of the Azerbaijani Delegation to PACE Samad Seyidov told Trend Oct. 5. He noted that the Azerbaijani delegation will take part in the autumn session of the PACE and will express its attitude to the issues under discussion. The head of the delegation noted that there is no issue on the agenda that is directly related to Azerbaijan. "Despite the absence of an issue directly related to Azerbaijan at the session, we always raise the issue of the Nagorno-Karabakh conflict, the issue of refugees and internally displaced persons, so we will act the same way this time as well," Seyidov added. 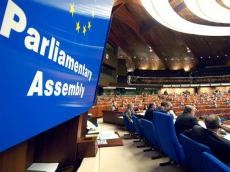 The autumn session of the PACE will be held on October 8-12 in Strasbourg.